130,000 people in Austria suffer from dementia. The police is an important partner for affected families. 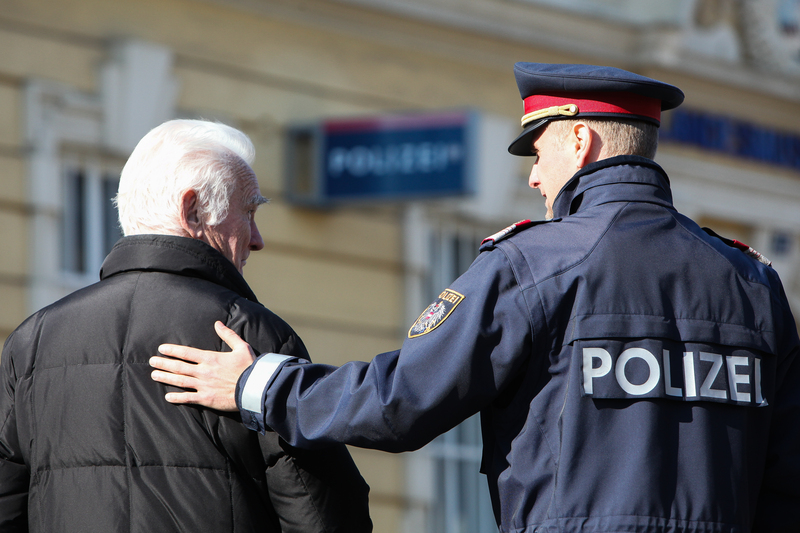 "Mission Dementia" is an e-learning platform developed by the MAS Alzheimerhilfe, the Danube University Krems and the Austrian Police Officer Training Academy (SIAK). Police receives a working tool for solving difficult situations involving persons with dementia (low costs and recources). Mission Dementia changes the way the police look at a given situation, it expands their options for action. A policewoman or policeman who has been trained to deal with people with dementia acts with more confidence and also radiates this assurance – a relief for everyone. The network put in place additionally helps with the helping. The “dementia friendly” certificate renders the new competency visible, internally and externally. And all speak the same language. It is a successful and an innovative mixture of personnel qualification, qualification of the system and qualification of the environment. Mission Dementia has been well received and can easily be applied to other professions or target groups.